Now, those examples refer to REALLY big groups. But--truth be told--we love to entertain groups of ANY size in Dublin. Year-round. What does this mean to you? If you are looking for some fun group activities for your next meeting, reunion, Girl’s Night Out or corporate team-building event ... we’ve got your back. 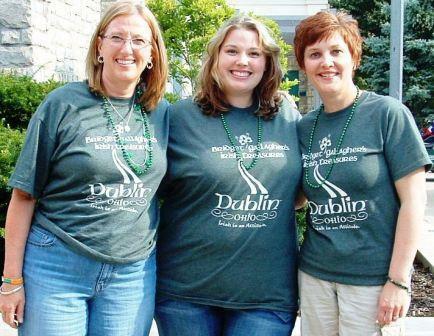 What started in 2007 as a way for the Dublin CVB to draw group tours to the city where Irish is an attitude, has bloomed into a palette of 22 Irish experiences and another dozen “Around the World in Dublin Ohio” experiences. Thanks to a handful of inventive and willing local partners, we’ve created immersive activities where groups can take an Irish Dance 101 class, savor Irish Sundaes while touring an ice cream factory, celebrate a Cinco De Mayo-inspired dinner or attend the Mad Hatter’s Tea Party! • Girl’s Day Out: Savor French pastries during Oo la la! Celebrating French Cuisine, before becoming Dublin Damsels on a Quest. 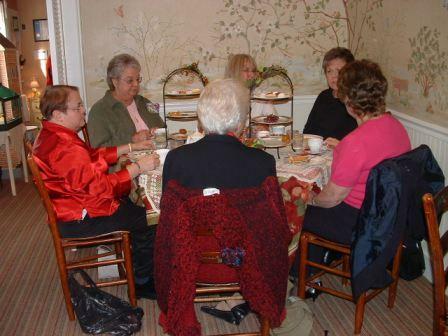 Enjoy a Victorian era lunch experience then take in some shop therapy. Pour your own candle during Scents and Sensibility then finish off the day with a private Dinner & Spa Event. • Around the World in 24-hours (or less): Experience a traditional Japanese Tea Ceremony, then head to the #1 Zoo in the country for a behind-the-scenes look at the Polar Frontier. Traverse to warmer climates during Perfecting a Southern Treat before a Salud Italiano lunch feast. Discover The Ancient Saints of Ireland or Irish Wake traditions during Wake Me When It’s Over. Enjoy Fro Yo: A South Korean Inspired Sweet Treat then finish the day with An All-American Hit: Hot Dogs, Baseball & Apple Pie. • Teach Me How: Lifelong student? Learn to dance an Irish jig, play the Penny Whistle, tell the difference between chocolates or teas from around the world AND decorate a cupcake! • I-rish I Was in Dublin (OH): Embark on a Four-Leaf Clover Scavenger Hunt through Historic Dublin while working up an appetite for a Sunny Irish Lunch. Meet a real leprechaun, an 1830s era Irish immigrant, bagpiper or an Irish storyteller. Learn to speak a little Gaelic, then savor an Irish Manor House Meal. Want to learn more? Visit our Website or contact the Dublin CVB at 800/245-8387.